A big part of the Devil May Cry 5 Nero gameplay will be Devil Bringers, and we have already seen some of them in action in the new gameplay footage that has emerged online during Gamescom 2018. It seems like, however, we haven’t seen everything regarding the matter yet. 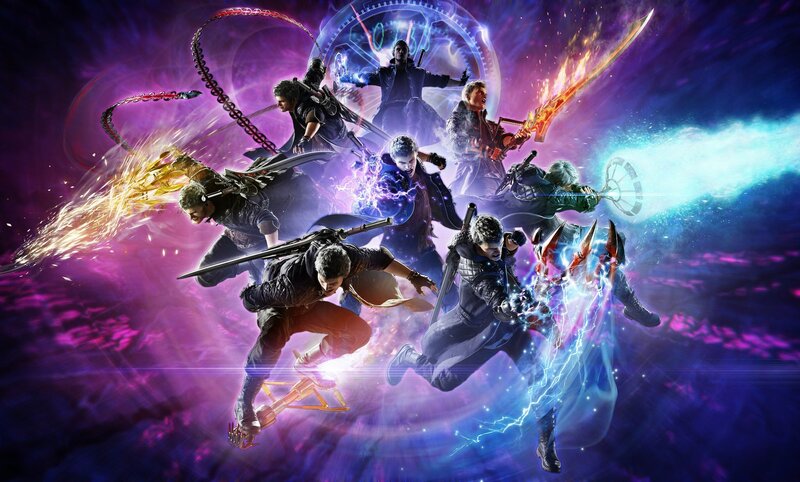 New Devil May Cry 5 art surfaced online today, showing Nero with 8 different Devil Bringers, three of them yet to be detailed. One of them seems the Drill Arm briefly seen in the latest trailer, while the other two are completely new. Devil May Cry 5 will be set in Red Grave City, where Nero will have to fight off a demon invasion and learn more about a demon tree that has taken root in the city.